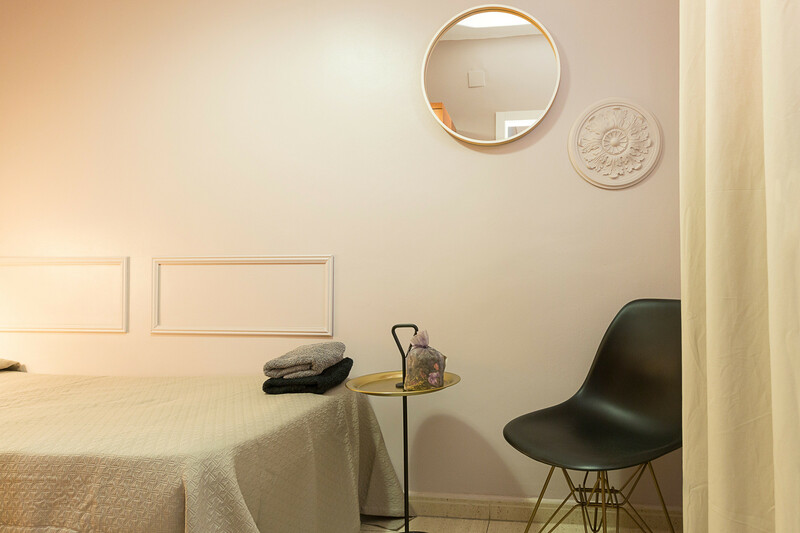 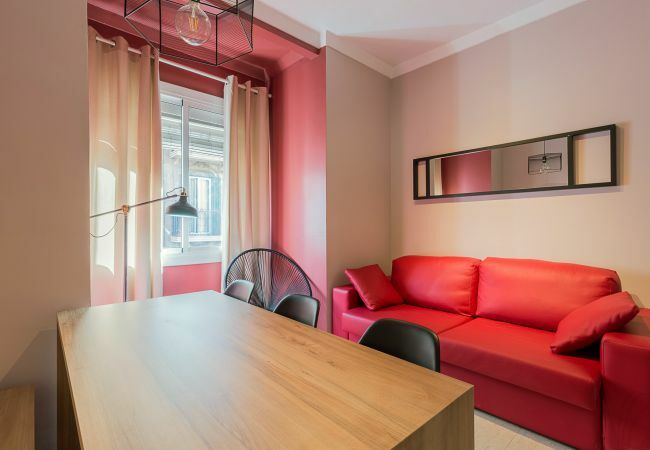 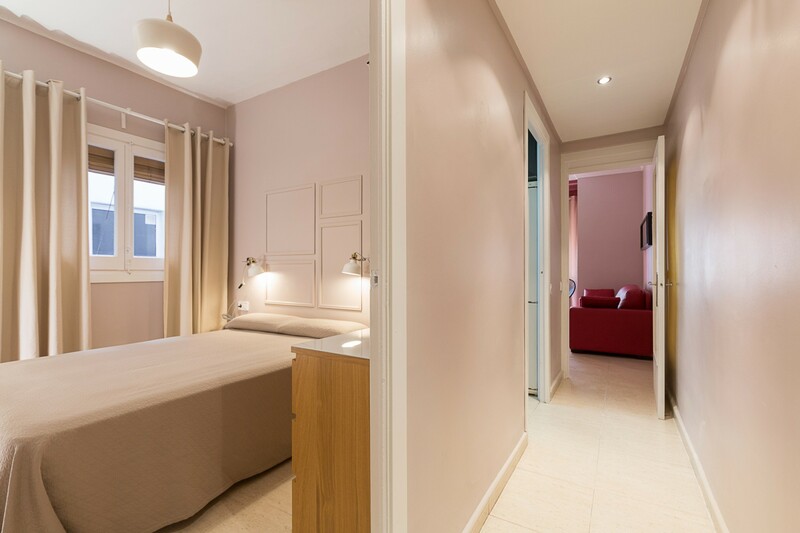 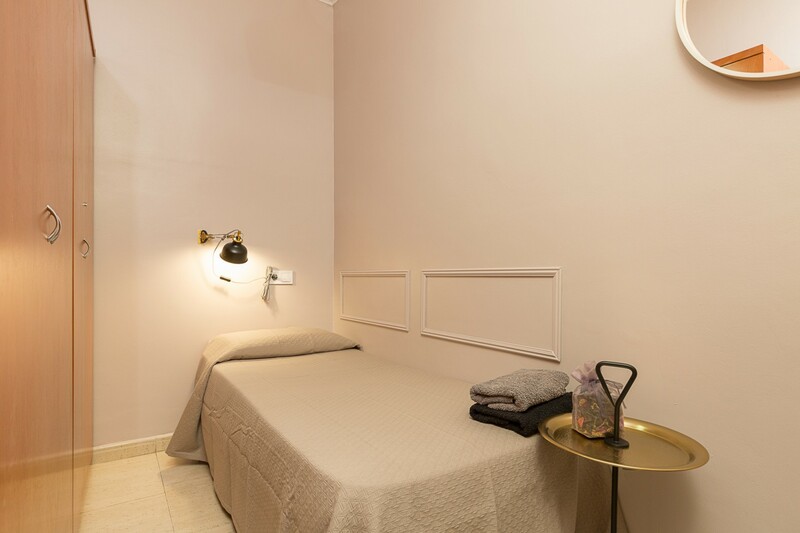 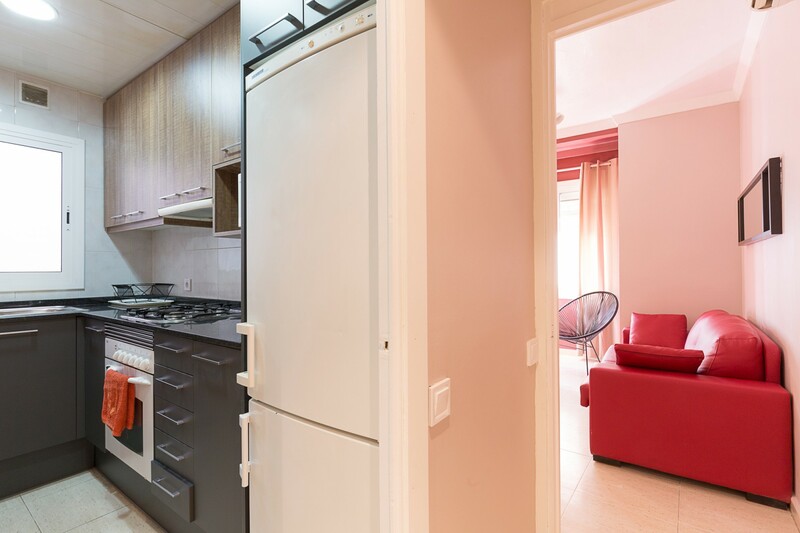 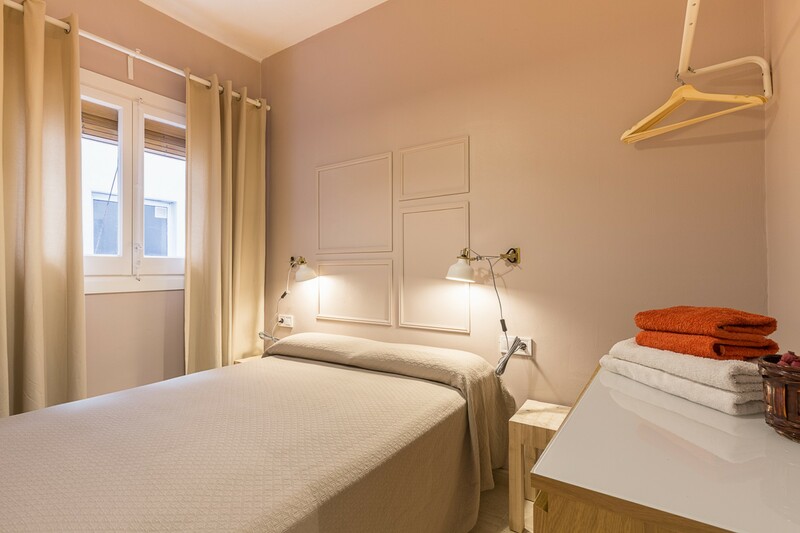 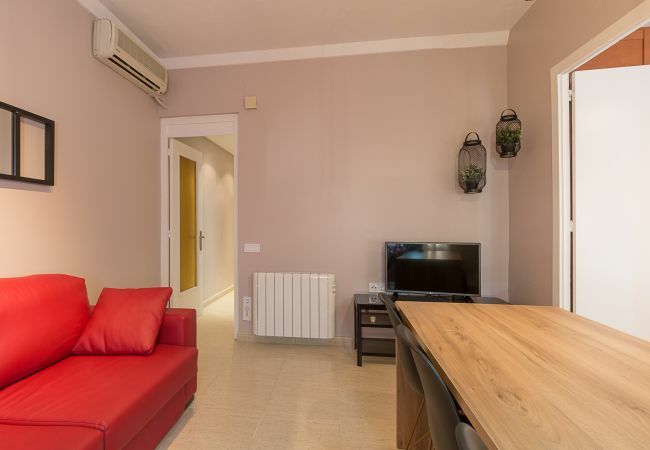 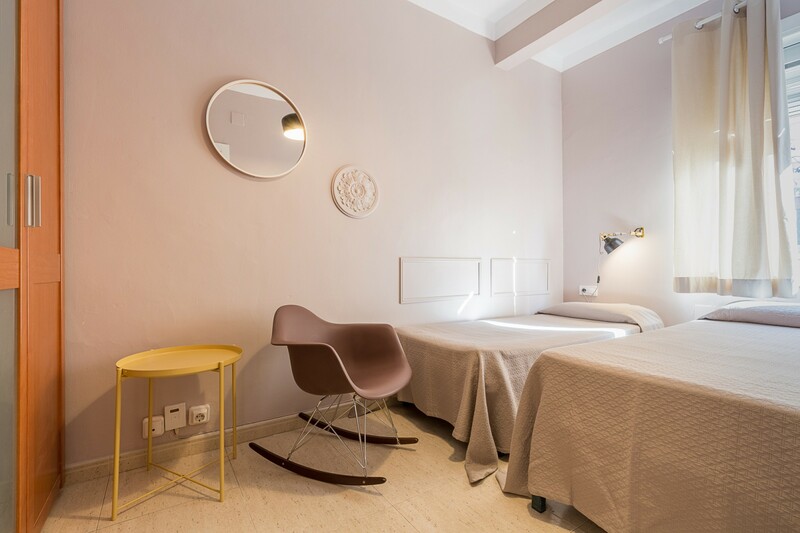 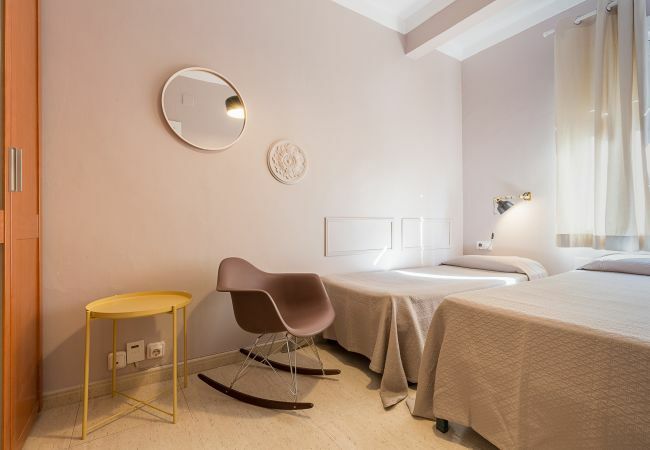 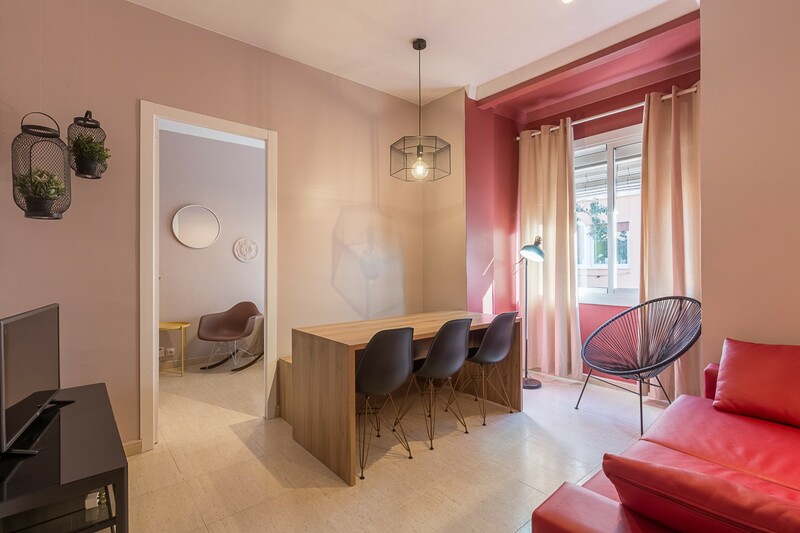 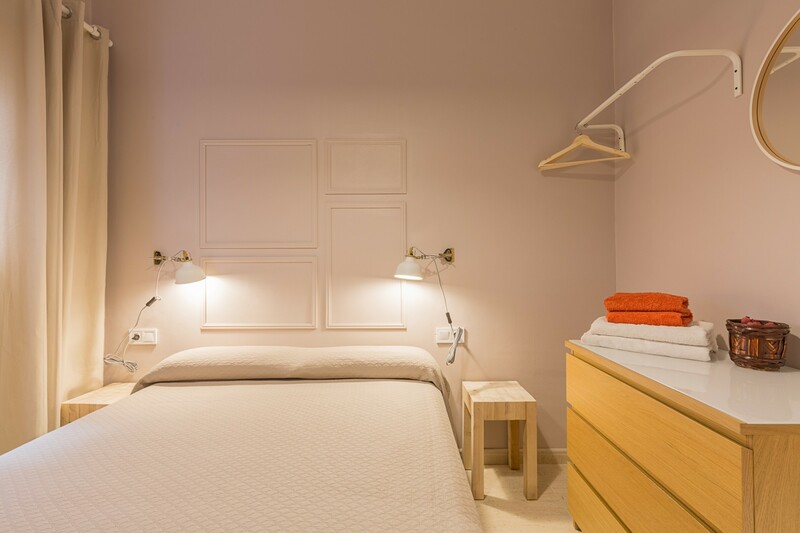 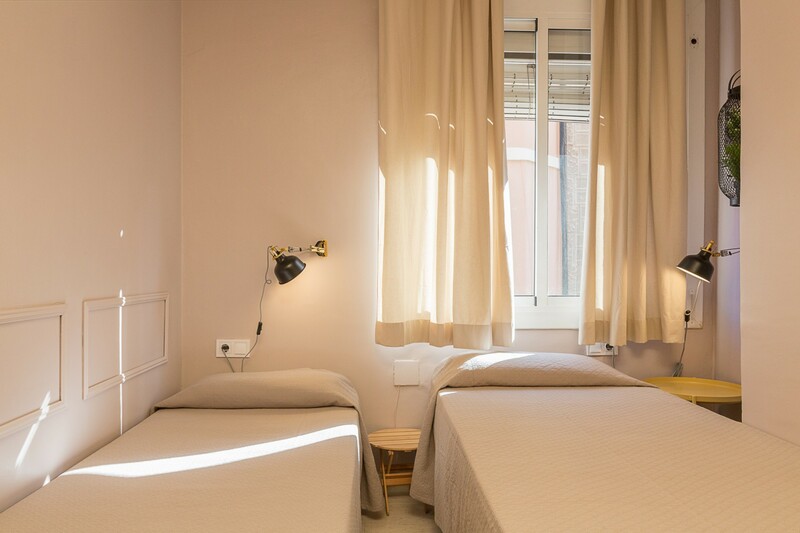 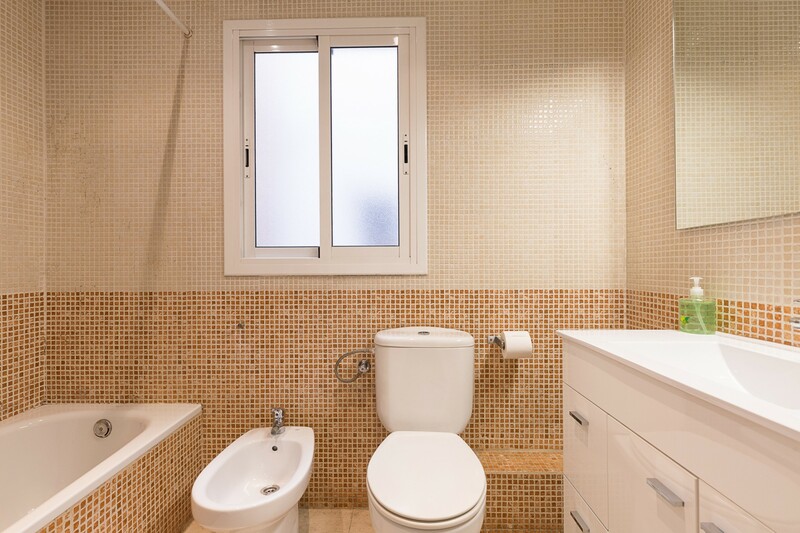 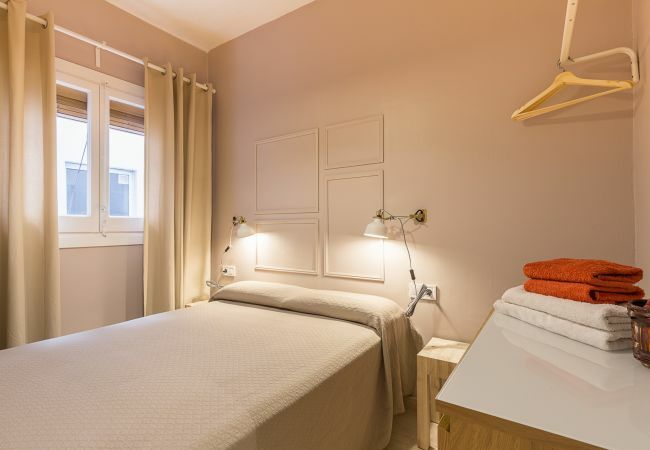 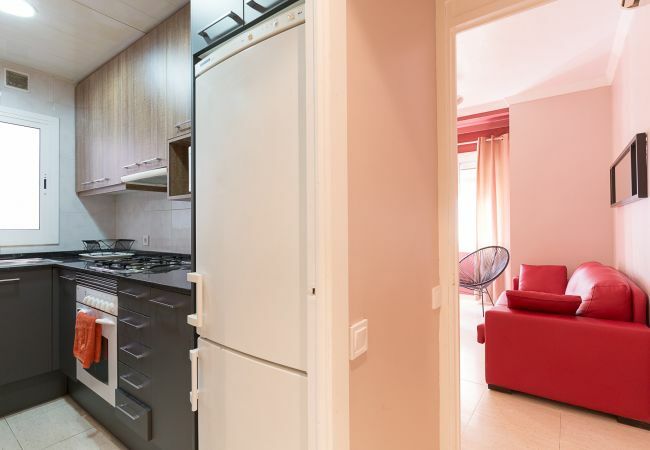 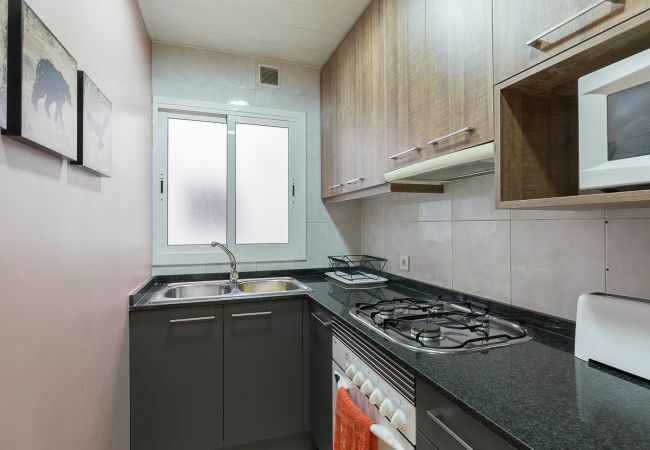 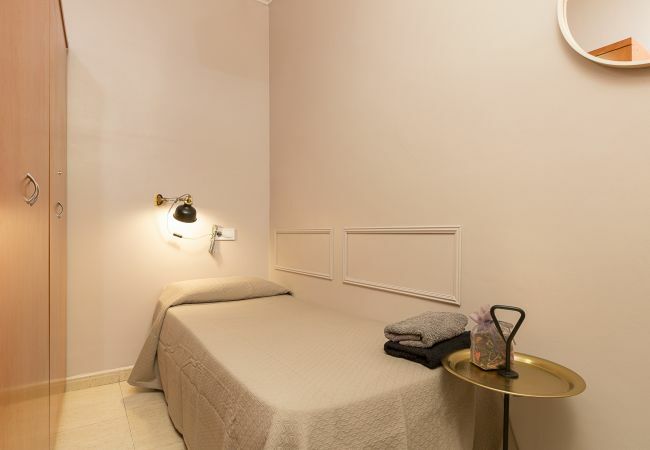 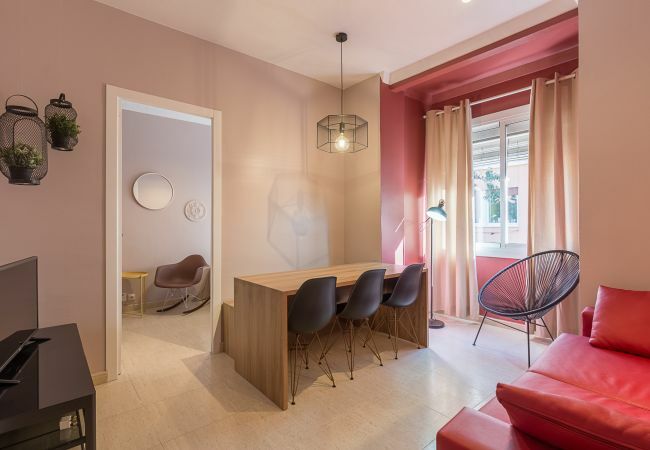 Cozy, comfortable and quite apartment in Plaza España of Barcelona. 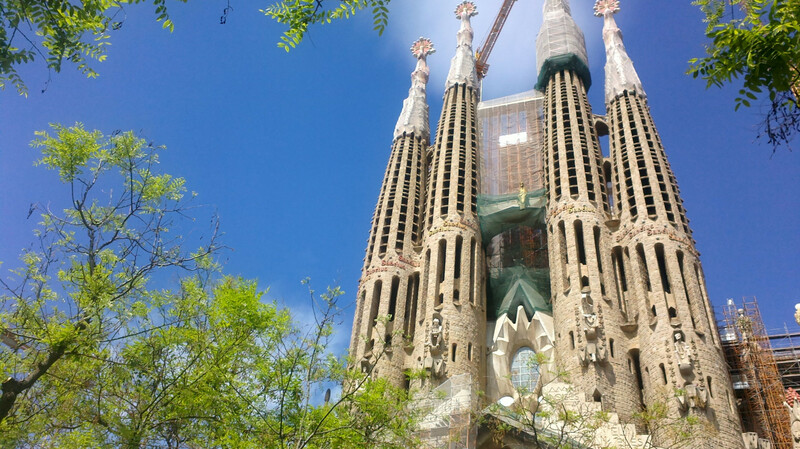 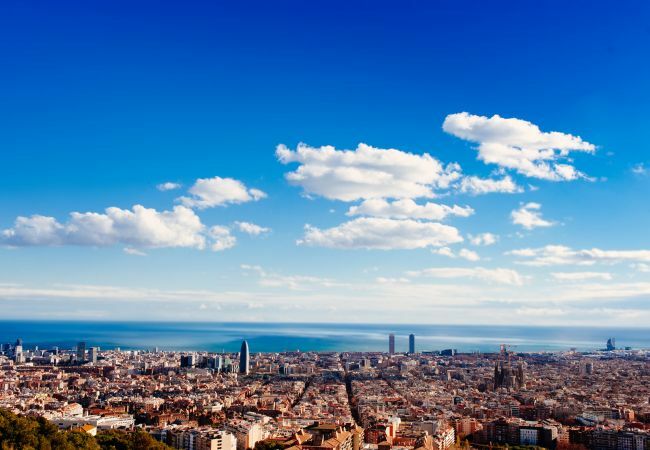 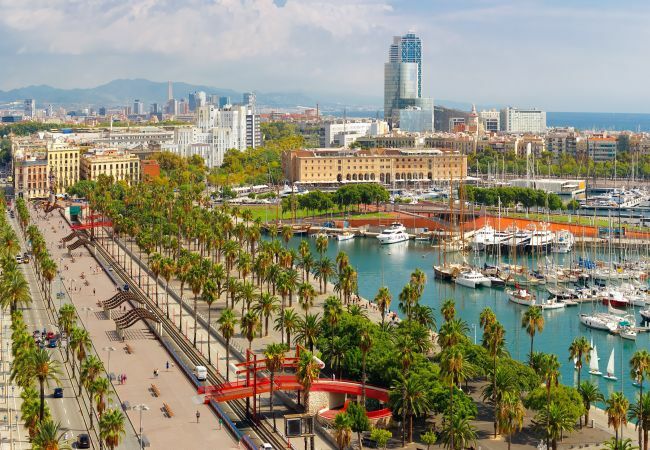 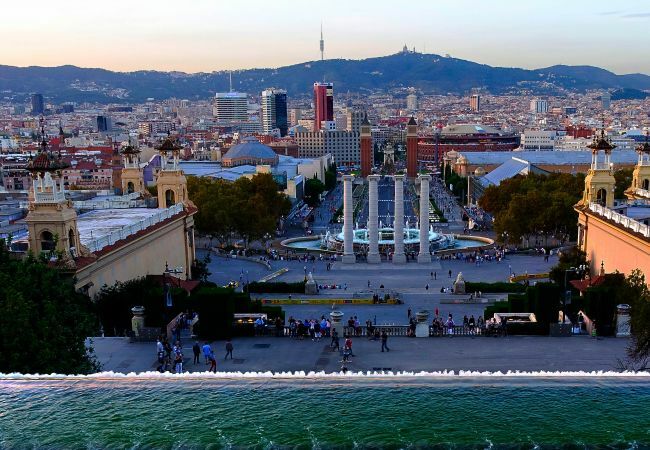 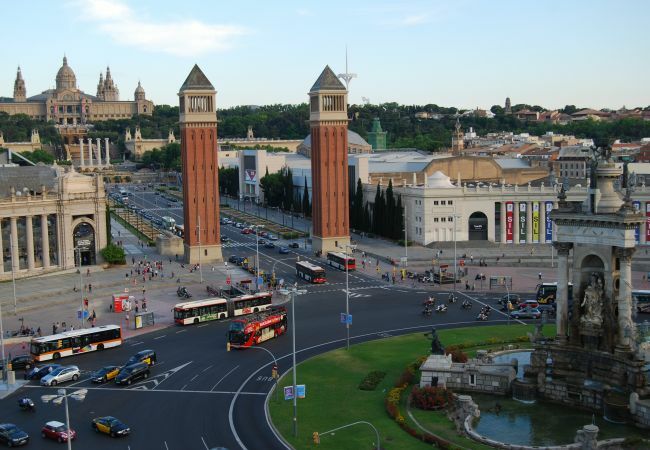 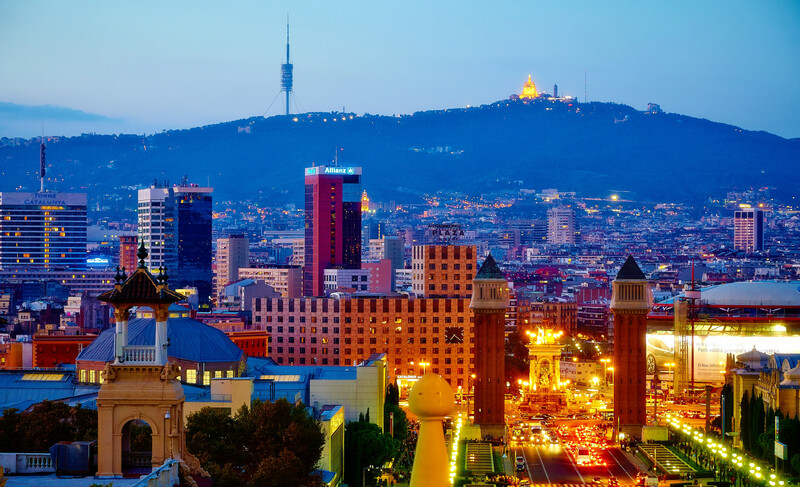 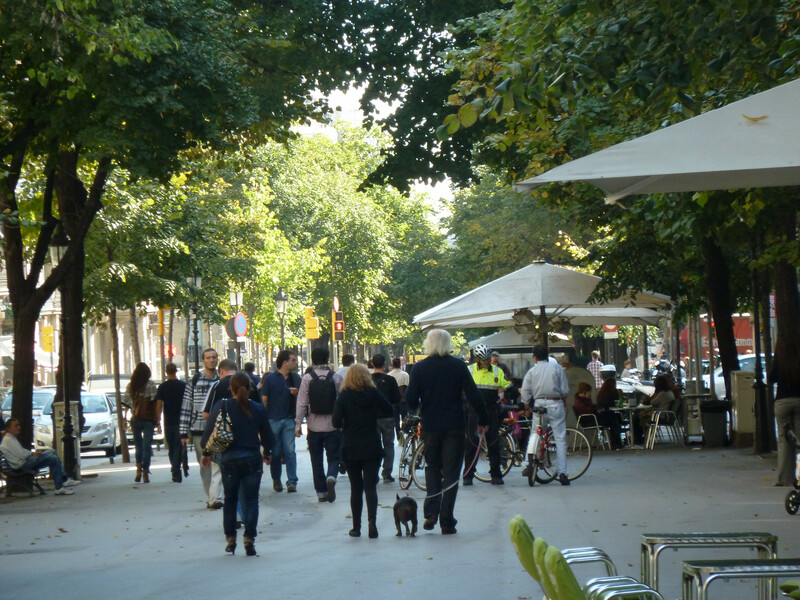 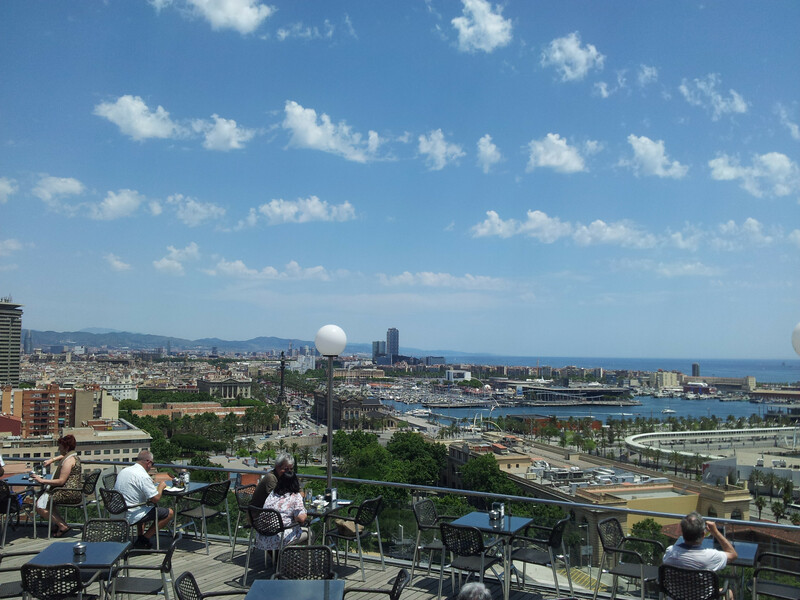 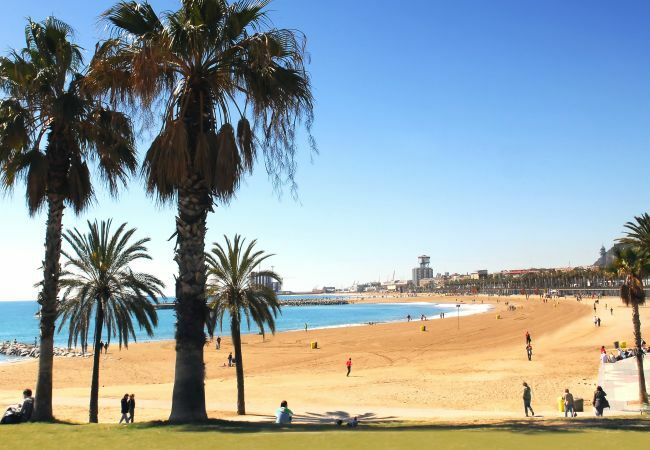 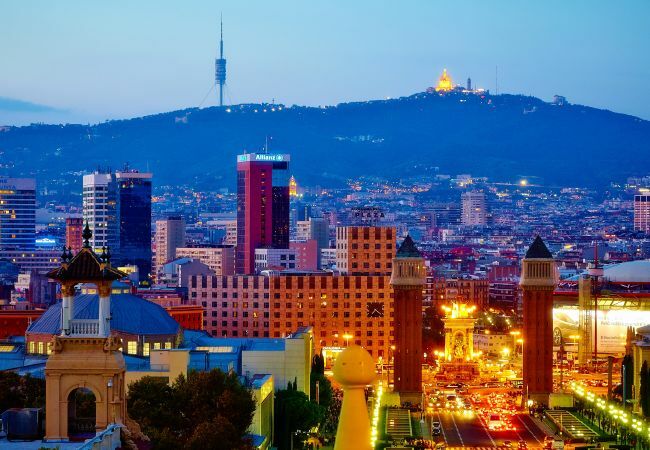 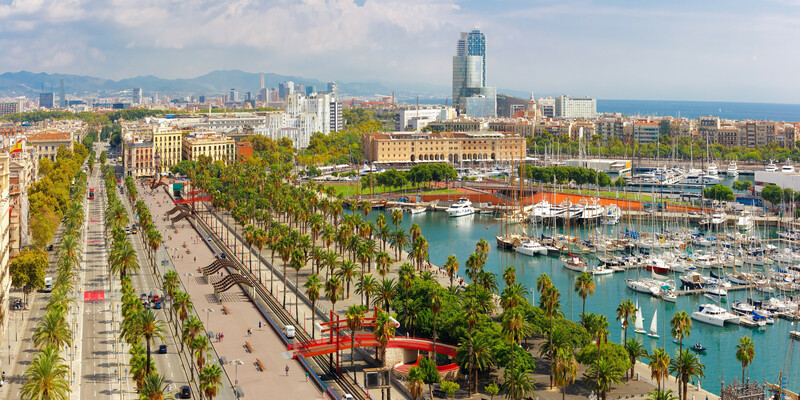 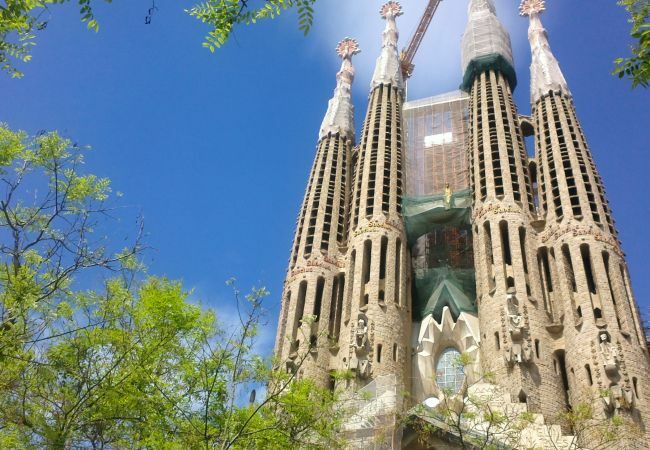 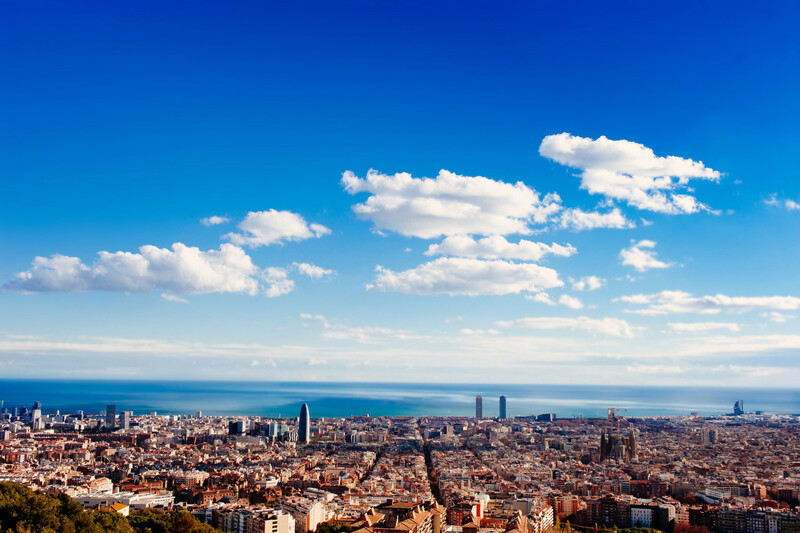 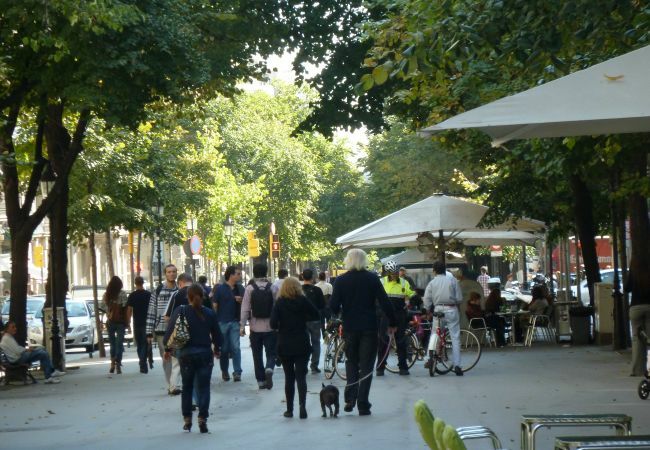 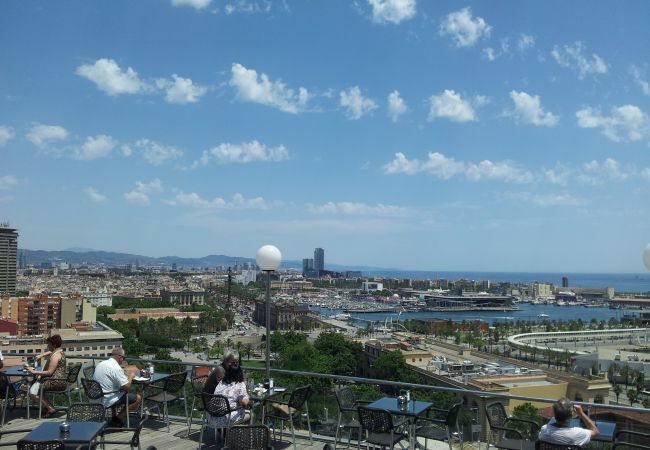 Is ideal for visitors & professionals of Barcelona's international Trade Fair "La Fira" (only 1 minute walking distance) . 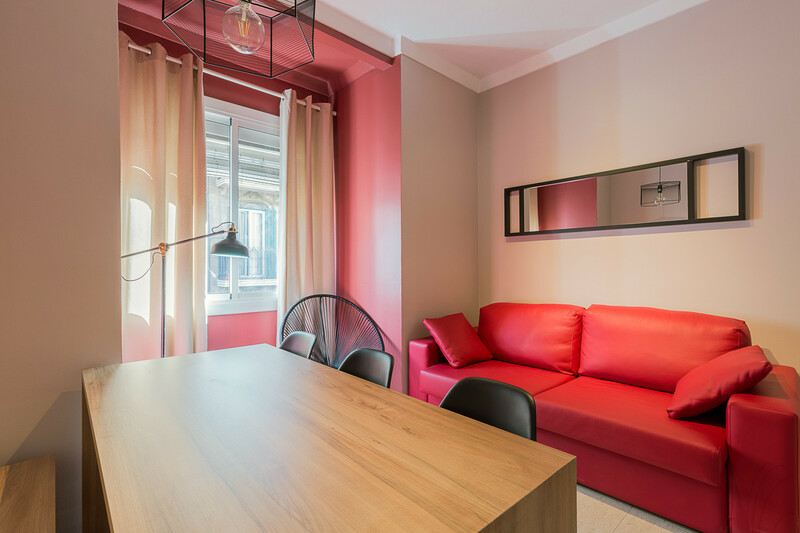 Also, in the living room there is 1 sofa bed for 2 people, so the capacity of the apartment is up to 7 people. 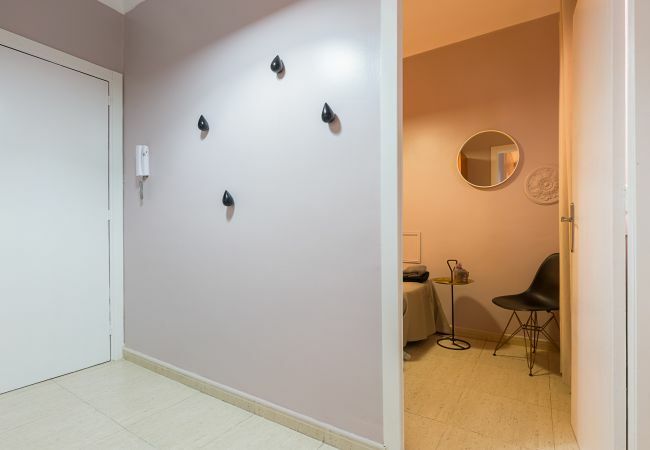 The apartment has a kitchen and 1 full bathroom and has air conditioning, heating, free WIFI high speed internet, TV. 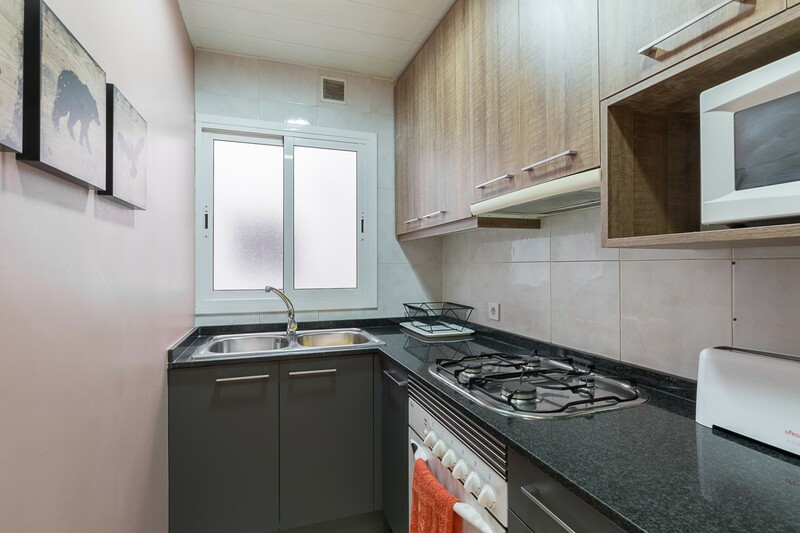 Kitchen is equipped with refrigerator, coffee maker, kettle, hob, oven, microwave and washing machine. The towels, sheets and hairdryer are included. 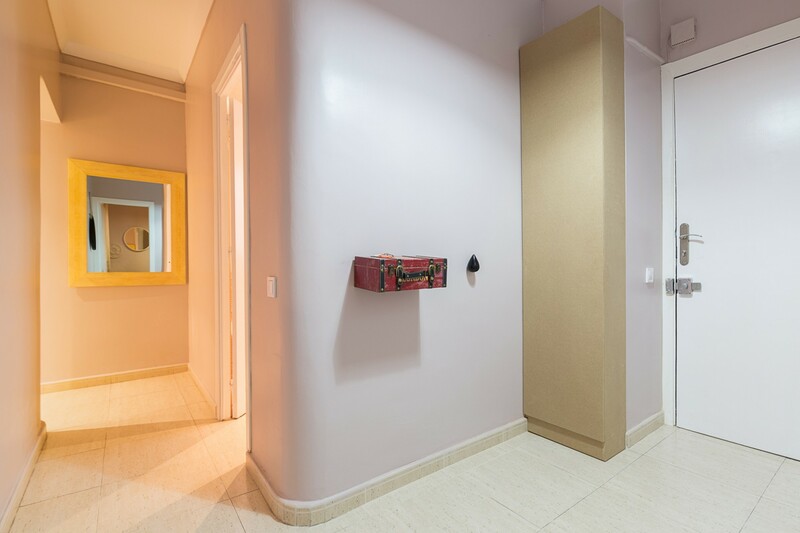 Renovated apartment with excellent location in Plaza España, in quiet and safe area. 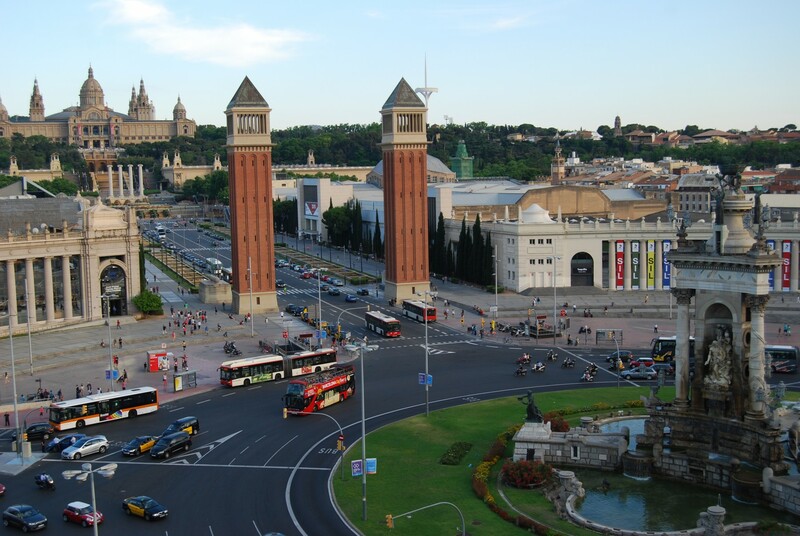 Public transport connection is excellent and is situated near many places of interest. 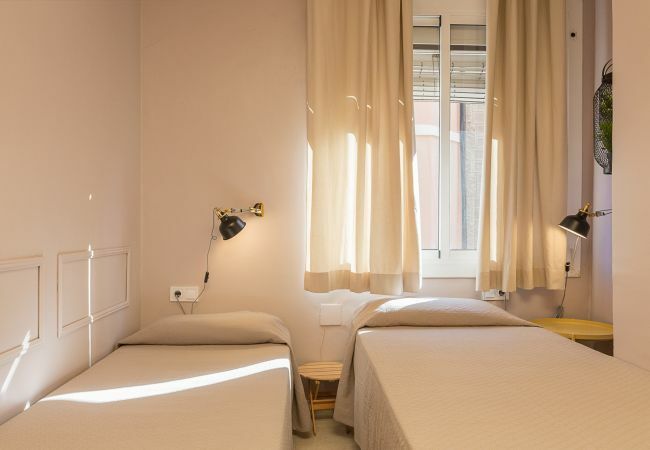 Ideal for congress visitors in La Fira de Barcelona because it is close by. 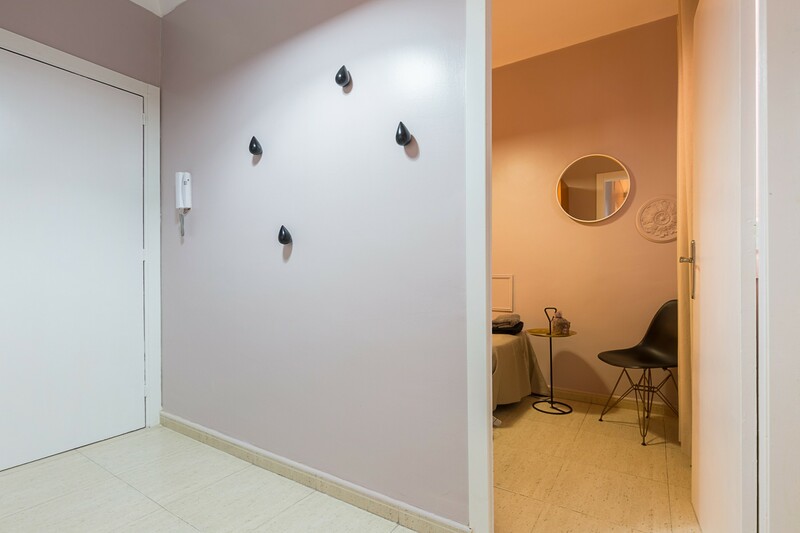 - 1 TV, 2nd floor, lift, iron, internet (Wi-Fi), hair dryer, 65 m² property, 65 m² plot, electric heating, air-conditioned.